The Le Mars Gehlen Marching Band. The Iowa State University football team won’t be the only group from Iowa to take the field at the Alamo Bowl in San Antonio, Texas, Friday night. 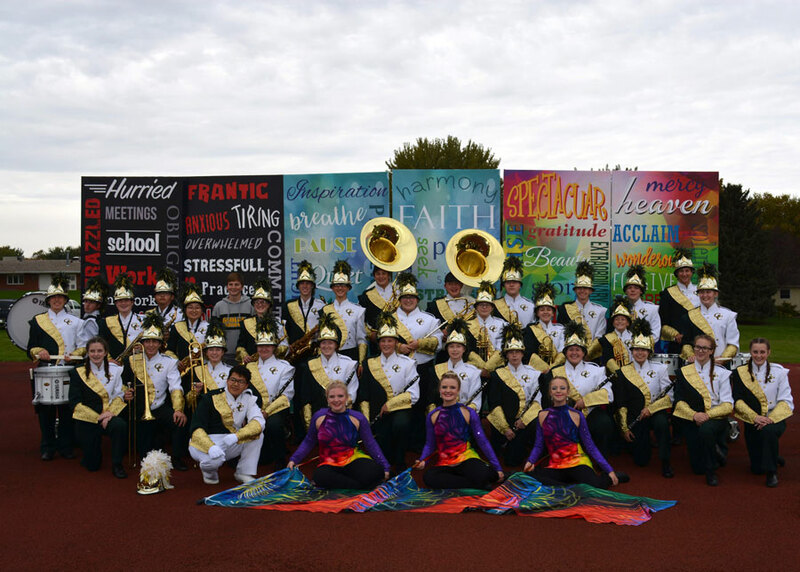 The marching band from Gehlen Catholic School in Le Mars will be performing during halftime. Lisa Niebuhr, the school’s development director, says the entire trip will have an educational focus. “Educational in the sense of the competition as well as working with the clinicians for the mass band performance on music,” Niebuhr says. “We are doing some history education by going to the Alamo.” There’s also science education planned, too, she says, with a trip to SeaWorld and to some natural caverns. While in Texas, the band will compete in a marching band contest with around 20 other bands that will be there from various sizes of schools participating in the Alamo Bowl festivities. Niebuhr says the trip also serves as community outreach as the bowls are nonprofit organizations with proceeds from the event going to Fort Sam Houston Hospital, which serves members of the military. “Since patriotism and citizenship are an important component of what we do at Gehlen, from everything from our Veterans Day prayer service to saying the Pledge every day, one of the reasons why we choose the Alamo Bowl is because it’s a way for us to give back to our servicemen and women,” she says. This will mark the sixth time Gehlen has performed at a college bowl game.